“Building The Revolution: Soviet Art and Architecture 1915-1935” is another successful exhibition at the Royal Academy of Arts, until the 22nd January 2012. It is the first time that many of the works have been shown in the UK. Entering the Royal Academy courtyard, it is possible to be grabbed immediately into “Building the Revolution: Soviet Art and Architecture 1915-1935.” Here stands, in fact, a spiral vibrant and asymmetric tower. 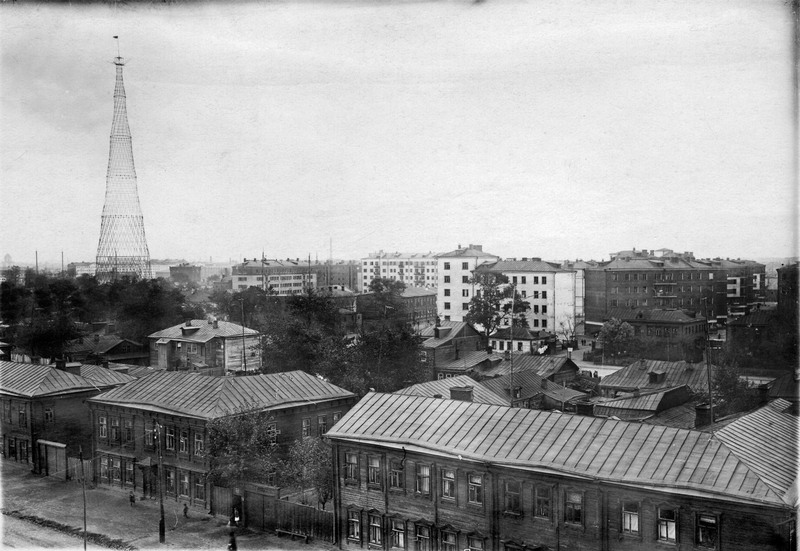 It is a 1:40 scale model of the Tatlin Tower. The ‘Monument to the Third International’ was conceived by Vladimir Tatlin in 1919-20 as a 400m high tribute to the Bolshevik Revolution. 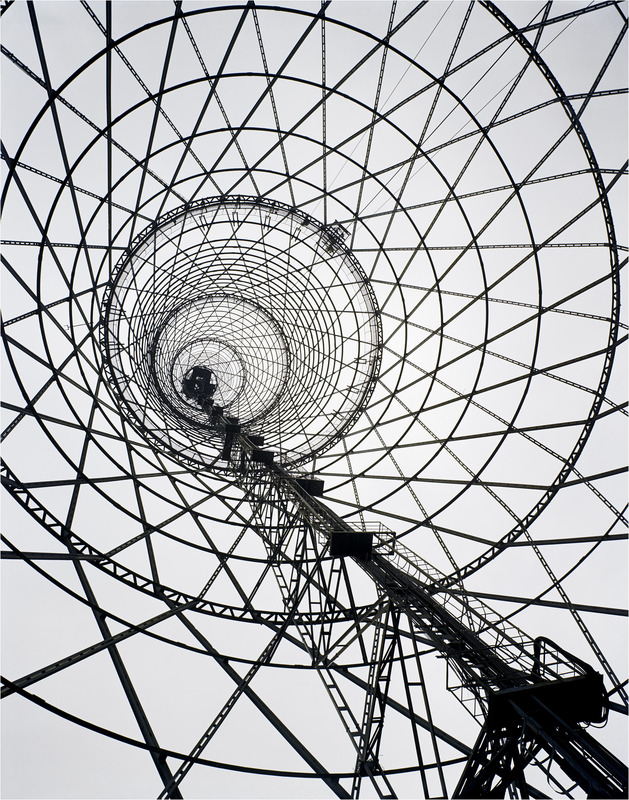 The Tatlin’s Constructivist tower was to be built on the Neva River in St. Petersburg from industrial materials: iron, glass and steel. “Building the Revolution” brings together artworks of the Russian avant-garde architecture made from 1922 to 1935. It was supposed to build the new Soviet Socialist language. It was a short-lived period which, however, had a consistent construction and design production. The debate about the modernisation of Russia in the beginning of the 20th Century was made by progressive artists and architects. Their ideas were to bring on all together cultural, political and social changes. In 1917-22 during the difficult moments of the Russian Civil War artists focused on speculative research and revolutionary art education creating Modernism. In the meantime the Constructivist group was formed in Moscow. This group opposed to the bourgeois conception of the artist as individual genius but rather they consider themselves as ‘workers’. Constructivism shadowed Modernism. The drive to create a new Marxist – Socialist society in Russia gave scope to a dynamic synthesis between radical art and architecture. This creative reciprocity was reflected in the engagement in architectural ideas and projects by artists such as Kazimir Malevich, Vladimir Tatlin, Liubov Popova, El Lizzitsky, Ivan Kluin and Gustav Klucis, and in designs by architects such as Konstantin Melnikov, Moisei Ginsburg, Ilia Golosov and the Vesnin brothers. European architects including Le Corbusier and Erich Mendelsohn were also draught in to shape the new utopia. The Royal Academy exhibition puts side by side large-scale photographs of existing buildings with relevant drawings and paintings and vintage photographs. It is a good idea that better allows visitors enjoying the exhibition as Russian architecture with its industrial design is slightly monotone and oppressive. The images of Richard Pare provide an eloquent record of the often degraded condition into which the buildings have fallen. Important contributions are present from the Costakis Collection from the State Museum of Contemporary Art of Thessaloniki, Greece. The conclusion of the Civil War in 1921 heralded tight Communist Party control over government and communications. The First World War and the Civil War were financially disruptive. During the 1920s USSR was determined to be one of the world leading nations. Trough the New Economic Policy, the collectivisation of agriculture and the push of industrialisation generated an exodus from the rural areas to the cities. Therefore, the architecture design of the cities changed. The Bolshevik government also was driven to eliminate illiteracy and built worker’s club and schools providing free education. “Building The Revolution: Soviet Art and Architecture 1915-1935” ends with a room dedicated to Lenin Mausoleum, by architect Aleksei Shchusev in the Red Square, that signed the end of the Revolutionary ideas by almost deifies Lenin figure.